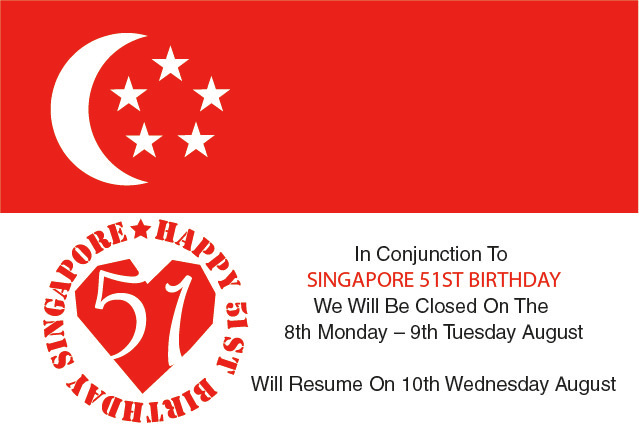 Happy national day in advance, we will be closed on the 8th of Aug. Business will resume on Wednesday, 10th of Aug, and we hope that you'll have a great weekend! Do drop by for more GSS discounts before it ends! The great singapore sales is back, discounts up to 30%! Print with us for high quality work at a discounted rate! Hurry, drop by or email us for quotations!